super blond, originally uploaded by Willo. My friend Misty had a Procrastinator’s New Year’s Eve party (as she has done every year for the past SIXTEEN!) and this year’s theme was to dress up as either a superhero or a villian. 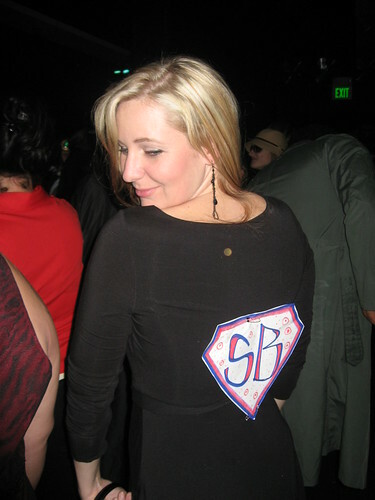 I decided to stay true to my previously declared Superhero persona, aka, SUPERBLONDE! (especially since I have been successfully reblonded and rule the world with my flexibility. In this case, it looks like my head is attached to my body backwards. Told ya I was flexible.